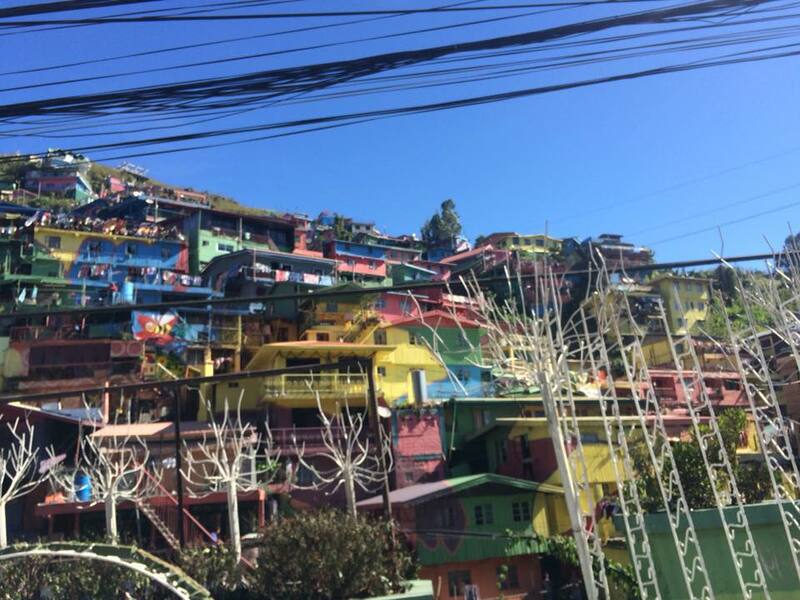 I fell in love with Baguio when I was a teenager. The cool breeze and the smell of pine trees have always had their way with me, me being a hopeless romantic and all. Back then I would always imagine myself living in that beautiful city, wearing layered clothing and walking the peaceful streets or reading a book while sipping coffee at a quaint coffee shop somewhere in the hills. And at one point in my once young and foolish mercurial mind, I though about entering the Philippine Military Academy (PMA) after High School. The only thing I hated were the long and uncomfortable travel hours. I had a traumatic experience once when I unsuccessfully tried to keep myself from throwing up. Take note of the word “unsuccessful.” Since then, I’ve been afraid to travel to Baguio without Bonamine that would enable me to sleep throughout the 8-hour bus ride. I outgrew it somehow. Or perhaps it was because we were provided with spacious vans that could make as many stops as we wanted when our band played at our favorite bars in the city. 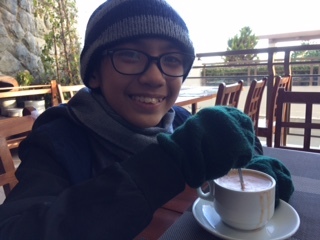 Taking the kids to Baguio last December was not really planned. Yes, we’ve always wanted to run away every holiday season so we can just be family and take advantage of our break from work, but up until November, we didn’t think it was possible to do so, especially that we had some payables worked out for our incoming 13th month pays. 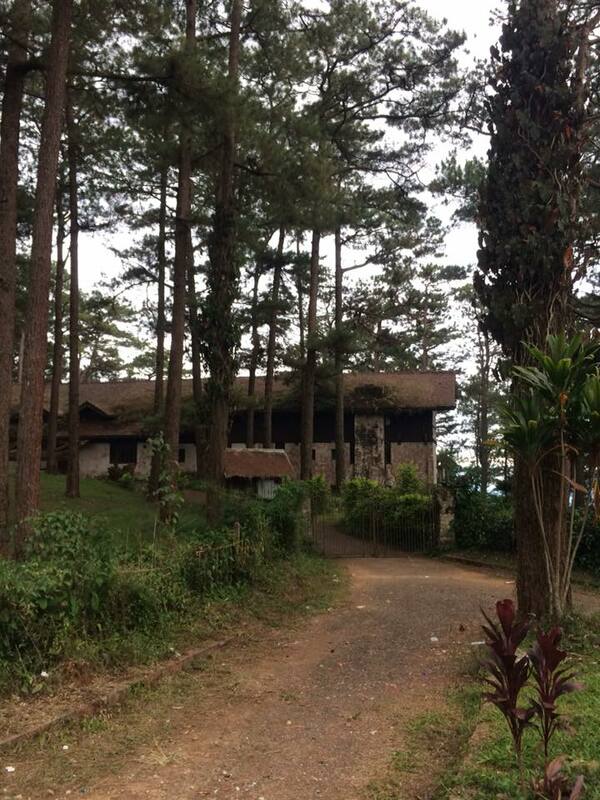 But after much thought, we decided to set aside everything and booked a 3-nighter at a hotel in Baguio. We badly needed to de-stress, reflect, and reset as a family and it turned out to be one of the best decisions we’ve ever made. Every year, as part of our Family Christmas Traditions, we take the kids to one special place where we usually spend more than usual. For example, Kidzania or Star City. We decided that this was going to be it in 2017. Jay’s seat mate in the bus is a scare crow ? . #family #newyear2018? If it were just me and Jay, we would have been perfectly happy walking through quiet roads outside the city proper, or sitting quietly at Mines View Park staring at the view, or hanging out at coffee shops. 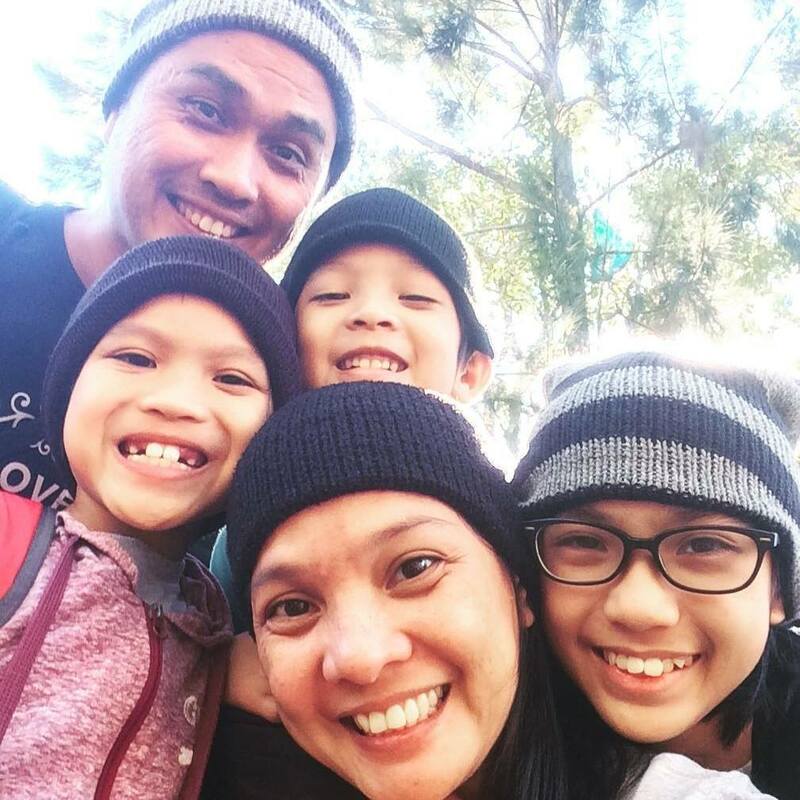 But since we had the kids with us, the homeschooling mom in me wanted to make the most out of our trip and use the opportunity for our kids to explore Philippine culture that side of our world. Besides, asking them to just lounge around doing nothing will bore the heck out of them, haha! But because we had to stick to a budget, planning was necessary. I searched the web on the different commercial and cultural attractions to take the kids to and noted down entrance fees and commuting expenses. 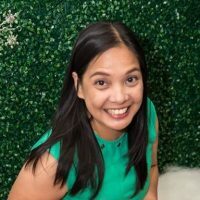 It helped that I’m friends with Liz Aquino of Zaine & I, who is a Baguio local. She gave me notes on locations and ideas on how to get to places. I originally jotted just Tam-Awan, BenCab Museum, Wright Park, Burnham park and Strawberry Farm in our itinerary; but at Liz’s notes, we were able to include Mines View park, The Mansion and Christmas Galaxy in our list of attractions to see. We also listed Dinosaurs Island and Holy Land, but made a mental note to only go if we still have time since Dinosaurs Island is not the only one of its kind and has another branch in Clark Air Base in Pampanga. We were supposed to take the bus back to Manila on the early morning of January 2, but we decided to stay for one more day and celebrate Judah’s 7th birthday there. He had only one request – Burnham Park. He wanted to go Kart riding and ride the boat at the lake, so we gave him his heart’s wish. And since we were not able to order pizza in New Year, we also had lunch at Shakey’s in Kisad road after taking them boating. We’ve heard of the bad traffic and pollution in Baguio so we weren’t surprised at all the smog that met us when we walked the city, but we mostly stayed away from congested areas and still managed to enjoy the cool breeze and fresh air. The kids loved the weather and acknowledged how beautiful the place was, so it wasn’t hard to get them to walk the road leading from Mines View to Wright Park, which was just across the hotel we stayed at on our first four days. 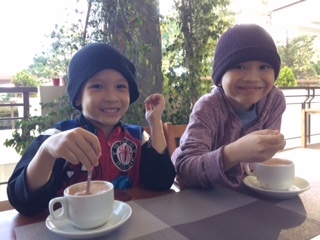 They also loved having hot choco with us at coffee shops, so Jay and I were able to do that, too. Baguio is still as beautiful and romantic as it had been in my youth. 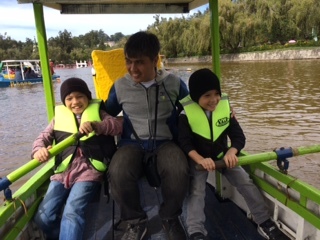 We are happy to have taken the kids on a getaway there. It’s just sad to see so many trash left by tourists all over the place. Come on, guys, don’t be such slobs! Clean as you go, please. And teach it your kids! Maybe to others who have frequented Baguio, this isn’t a big deal, I get that; after all, Baguio’s just a bus away from Manila. But we give it our best to make every experience as memorable to our kids as possible. It teaches them to appreciate every little thing that comes their way and to see God’s hand in everything. It’s how we want them to view life – beautiful, despite the road blocks. We want them to grow up thankful – IN EVERY SEASON IN THEIR LIVES. And what better time to show them but at a time of healing from broken hearts. We got the rest and reset we needed. By the time we got back to Manila, we were raring to get on with 2018. It was our first time to take the kids on a long trip, we had no idea what to expect or how they’ll take to traveling. And I love how they kept thanking us for the trip and telling us how much they enjoyed being with us. It’s been more than a week since we’ve been back and they still say they miss Baguio and wish we can do it all over again. It was really a time to bond with them, to laugh with them, to appreciate silent moments with them, and to show them that family is love. And most particularly to our tween, that it’s fun to be with family, too. We can get used to this. We’re already talking and praying about our next family destination. We’ve got so much to look forward to, I’m excited! “There is a time for everything, and a season for every activity under the heavens: a time to be born and a time to die, a time to plant and a time to uproot, a time to kill and a time to heal, a time to tear down and a time to build, a time to weep and a time to laugh, a time to mourn and a time to dance, a time to scatter stones and a time to gather them, a time to embrace and a time to refrain from embracing, a time to search and a time to give up, a time to keep and a time to throw away, a time to tear and a time to mend, a time to be silent and a time to speak, a time to love and a time to hate, a time for war and a time for peace” Ecclesiastes 3:1-8. It’s been almost a decade since I last went up to Baguio. This coming Friday, we are going to visit it as a family! Yay! 🙂 So much has changed na ha. 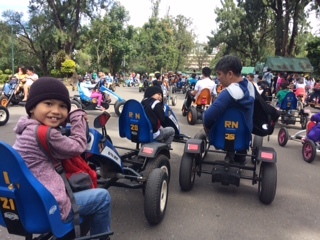 May Kart riding na pala. yeah, you can skip Dinosaurs Island. They have one in Clark din naman. Plus this one’s not at its best yet kasi ililipat pa nila sa city proper. We love Baguio too! If I weren’t due to give birth last December, we would’ve gone there as well. Sarap ng weather! Lovely pictures sis. It had been a whild since we’ve last been to Baguio. I miss the smell of pine trees and the real cool weather. I am so looking forward to go back. I remember asking the driver to stop because I had to throw up too on our way to Baguio. Haha! I haven’t been up since then and not yet with the kids. Family trips are truly the best and they sure beat any new toy in the market. Such a fun trip! 🙂 My in-laws and I were planning to go up to Baguio for the New Year, but the traffic situation over the holidays deterred us from doing so. That was one full itinerary! I also thought of going to UP Baguio after seeing the iconic Marvin-Jolina movie when I was young haha! It’s been almost 3 years since I last went to Baguio but I definitely plan on returning. Wow you really made the most of your stay! I think the last time we were there was 2011. Now you made me miss Baguio. I hoep we can take the little one there soon. She wasn’t born yet when we last went there. We first brought our daughters in Baguio when they were toddlers and we are also planning to go back this summer for some throwbacks. And we are all excited because the girls are too big na. I checked the hotel you stayed in Albergo and it looks good. Traveling with kids doesn’t have to be lavish palagi but my husband and I think that it’s the best way to bond and make memories. Your kids truly cherished this trip, I can see that in their smiles. Good job! Lagi kami nagplan na mag Baguio pero di lagi natutuloy. Kaya siguro ibigla nalang din namin ang punta. Pero 8 hrs ang byahe, hindi pala totoo na 3 hrs nalang from Manila to Baguio via TPLEX.